A big part of making music is the discovery aspect, is the surprise aspect. That’s why I think I’ll always love sampling. Because it involves combining the music fandom: collecting, searching, discovering music history, and artifacts of recording that you may not have known existed and you just kind of unlock parts of your brain, you know? 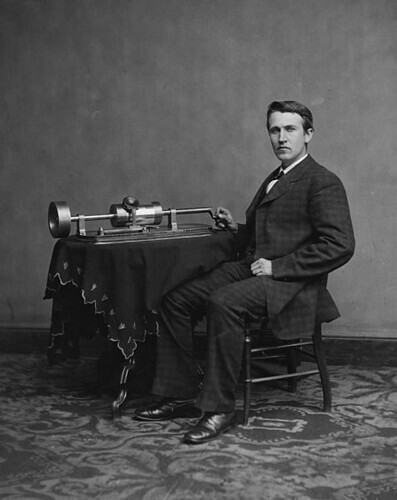 As we muse on mash-ups, we might recall that it was on this date in 1878 that the modern music business was effectively born: Thomas Edison was awarded U.S. Patent No. 200,521 for his invention, the phonograph. And “seen and heard” it has been, closing in on 34 million YouTube views at this writing– not counting the scores of parodies floating across the web. As she’s shown on her Good Morning America interview, she is making lemons out of lemonades. Make no bones about it, this song is selling (reached Top 20 on iTunes) and is going to be a valuable copyright for years to come. At my SxSW panel on Saturday, I did the math. If you combined every view of “Friday” and its parody videos, approximately 62 Million minutes were spent on this song. That’s presuming that, on average, the viewers only watched half the video. In the meantime, if the approximately 15,000 SxSW attendees watched 12 hours of music a day for all 5 days, that would only add up to 54 Million minutes spent watching music. All hopes of fame from Austin got upstaged by a 13 year old. Their ability for anyone to upload anything produces overnight successes like this. This attracts even more people to their platform. Also, this firmly makes them a broadcaster, probably more than any previous video. 21 million views in a week? That’s more than nearly EVERY show on TV (cable or broadcast) receives in a week INCLUDING the DVR play. The fact that they have also successfully conquered with mobile apps and IPTV just increases their reach. The music industry’s supposed white knight got upstaged in a big way. Turns out quality (of the song or HD transmission) doesn’t matter. The viewer goes to what they want to see. Also, Rebecca Black got more views in 9 days of “Friday” than Lady Gaga’s “Born This Way” did in 3x the days. Lady Gaga’s a huge star. Her new video got massive blog pickup like “Friday.” It was also hugely promoted as an “exclusive” on the Vevo site. If “Friday” can beat all that, something is wrong with Vevo and there’s some explainin’ to do. In Austin, I discussed with Eric Charland of Ultimate Chart about how high Rebecca Black will debut next week. With the numbers she’s had, it’s painfully obvious that this dominated the entire conversation. Quality of the song was irrelevant. Since it wasn’t in heavy rotation on pop radio, it likely won’t be at #1 on their chart, but it’ll properly debut high. This will give Ultimate Chart even more credibility on truly leading in identifying a song’s true popularity. When the Soundscan Top 200 album chart is released on Wednesday, Adele will be battling a new album by Rise Against. Nothing against either artist, but this week the battle was Rebecca Black vs. everything else. If you use Google search as a gauge, there’s just no competition. The album chart has been irrelevant for quite some time. It no longer reflects our time. This should end the discussion and let’s focus on singles where the business IS rather than albums where the business WAS. 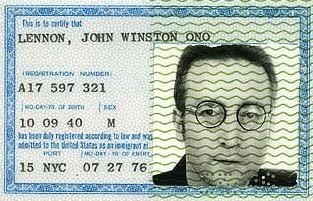 As we recall that unit sales of the best selling album of 2010 wouldn’t have made the Top Ten in 2000, we might recall that it was on this date in 1973 that U.S. Immigration authorities ordered John Lennon to leave the US within 60 days… thus beginning Lennon’s fight to acquire permanent residency, which he received in July of 1976.